Caribbean Wellness Day 2016: HCC calls for legislation to ban marketing of fast foods and junk foods in Caribbean schools. There is increased evidence of the adverse and unhealthy impact of the offerings of fast food restaurants on children and young adults (Centres for Disease control and Prevention (CDC) 2015 National Centre of Health statistics on ‘Caloric Intake From Fast Food Among Children and Adolescents in the United States, 2011–2012’). The impact of unhealthy food environments driven by various factors including globalisation and the export of western fast food giants is evident throughout most of the world and increasingly in low and middle income countries, including the Caribbean, leading to overweight and obesity rates among children as high as 30%. Children who are overweight or obese may develop serious medical problems in childhood including Type 2 Diabetes and high blood pressure. Obese children are more likely to become obese adults and adult obesity is associated with increased risk of NCDs including heart disease, diabetes, metabolic syndrome, and cancer. The Caribbean has experienced a major shift in dietary patterns fuelled largely by increased consumption of imported ultra processed foods and an expanding home grown and international fast food industry (thanks to the liberalisation of trade and investments allowing international companies to open fast-food franchises in emerging markets worldwide including the Caribbean). This development necessitates an assessment of the financial and health impact of fast food restaurants on the health and development of children and adults in the Caribbean. The case for encouraging and supporting fast food restaurants in the Caribbean is for the most part financial, based on the economic benefits to the country arising from increased employment. Furthermore, for the most part the fast food industry in the region continues to push their standard products – foods and beverages high in fat, sugars and salt – with no meaningful attempts to provide healthy menu alternatives. Little or no consideration is often given to the deleterious short and long-term health and associated economic costs to the local community and to the most frequent consumers of fast foods, low-income earners. The sense of public health leadership, both regionally and extra regionally, is that health costs ultimately over-ride and nullify any employment and economic benefits. 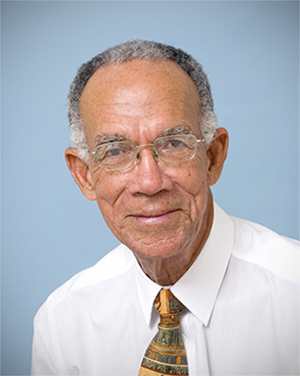 The negative impacts of this ‘fast food culture’ are exacerbated by the tradition of promoting and marketing of cheap, highly processed, nutrient poor, energy-dense foods and beverages in government funded and private schools throughout the Caribbean. This is at direct odds with recommended best practice by the WHO – explicitly stated in their Report of the Commission on Ending Childhood Obesity. Additionally, the promotion and marketing of fast foods and sugar-sweetened beverages (SSBs) in schools is in contravention of the Convention on the Rights of the Child which Caribbean governments ratified more than 20 years ago. The Convention requires that states act in the best interests of the child and it supports the Declaration of the Rights of the Child, which acknowledges that “the child, by reason of his physical and mental immaturity, needs special safeguards and care, tramadol order online including appropriate legal protection, before as well as after birth”. Children’s rights are the human rights of children with particular attention to the rights of special protection and care afforded to minors. Against this background the HCC calls on Governments of the Caribbean to honour, as a matter of urgency, their commitments to the Convention on the Rights of the Child by, passing legislation and determining policies that prohibit the marketing and promotion of fast foods and SSBs in schools, thus providing special safeguards and care in schools for children. The HCC further calls on Caribbean governments to undertake cost benefit analyses of fast food restaurants in national development as a basis for determining further national policy. The HCC commits itself and its member organisations to taking appropriate steps to reduce childhood and adult obesity in the Caribbean. The CARICOM Heads of Summit on Chronic Diseases in Port of Spain, Trinidad and Tobago, September 2007, established Caribbean Wellness Day. Caribbean Wellness Day (CWD) is observed every year on the second Saturday of September. Inaugurated in 2008, CWD is an annual event which provides an opportunity to increase the awareness of the non-communicable diseases (NCDs) burden in the Caribbean; mobilise and strengthen public, private, and civil society partnerships for NCDs; promote multi country, multisectoral activities in support of wellness; and showcase national and community level activities to promote healthy living and encourage residents to develop good health practices. 2015 focused on the elderly “Improving the quality of life of the Region’s ageing population”. Read more here on the CARPHA website. 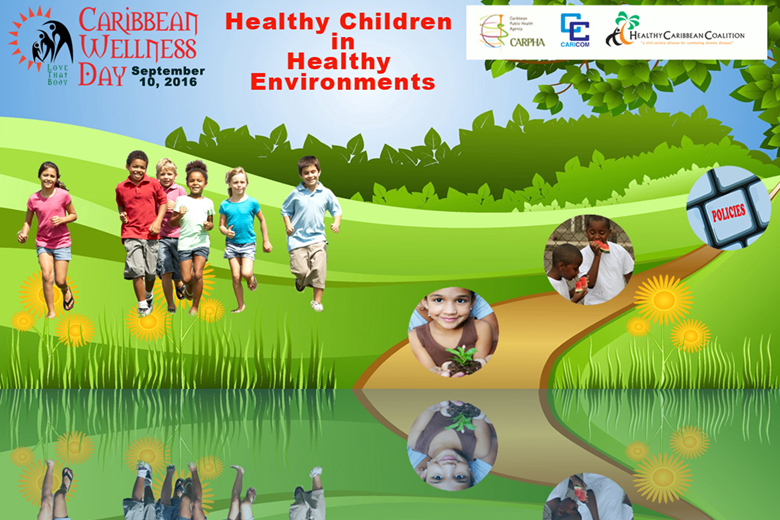 It is important to focus on children for Caribbean Wellness Day as young people have the right to grow up in an environment that promotes their wellbeing, fostering good diet and exercise habits that start them on the road to a long and healthy life. However, the situation is not looking bright for many of our children. 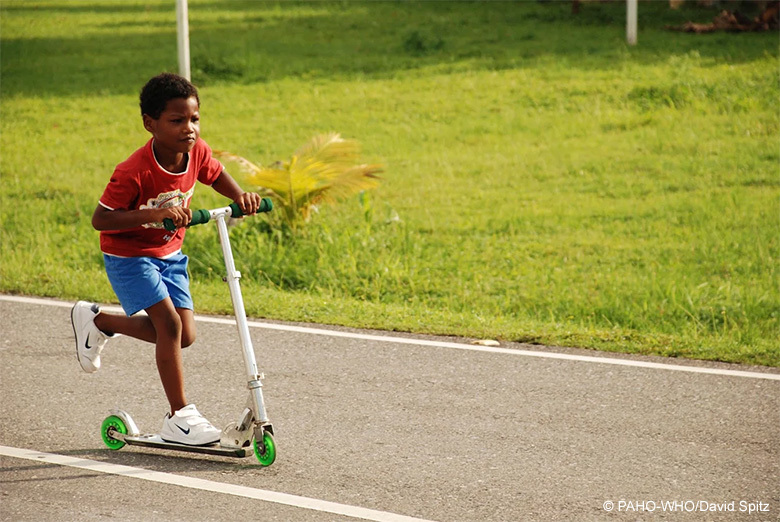 In every Caribbean Community (CARICOM) state more than one in ten children is obese, with less than a third of school pupils achieving the recommended levels of physical activity. Find out more information and get some interesting fact sheets and NCD Action Guides from the Port of Spain Declaration Evaluation website here.